New observations from the infrared Herschel Space Observatory reveal that an exploding star expelled the equivalent of between 160,000 and 230,000 Earth masses of fresh dust. This enormous quantity suggests that exploding stars, called supernovae, are the answer to the long-standing puzzle of what supplied our early universe with dust. Cosmic dust is made of various elements, such as carbon, oxygen, iron and other atoms heavier than hydrogen and helium. It is the stuff of which planets and people are made, and it is essential for star formation. 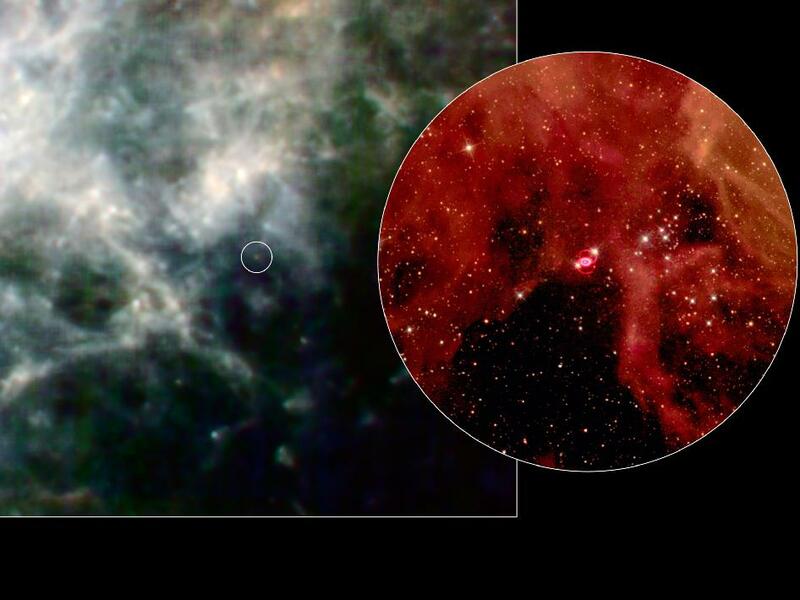 Have to say that initially, astronomers weren’t sure if the Herschel telescope could even see this supernova remnant. But it so happened that SN 1987A was imaged during a Herschel survey of the object’s host galaxy a small neighboring galaxy called the Large Magellanic Cloud. Scientists were surprised to see that SN 1987A was aglow with light.But after careful calculations they can see that the glow was coming from enormous clouds of dust consisting of 10,000 times more material than previous estimates. The dust is minus 429 to minus 416 degrees Fahrenheit (about minus 221 to 213 Celsius) colder than Pluto, which is about minus 400 degrees Fahrenheit (204 degrees Celsius).According to Mikako Matsuura of University College London, England Herschel discovery of dust in SN 1987A can make a significant understanding in the dust in the Large Magellanic Cloud.